As you will know if you are a regular here, I like reading. I don’t do enough reading for pleasure but when I do I I love a mystery. Remember my review of the Santa Klaus Mystery? 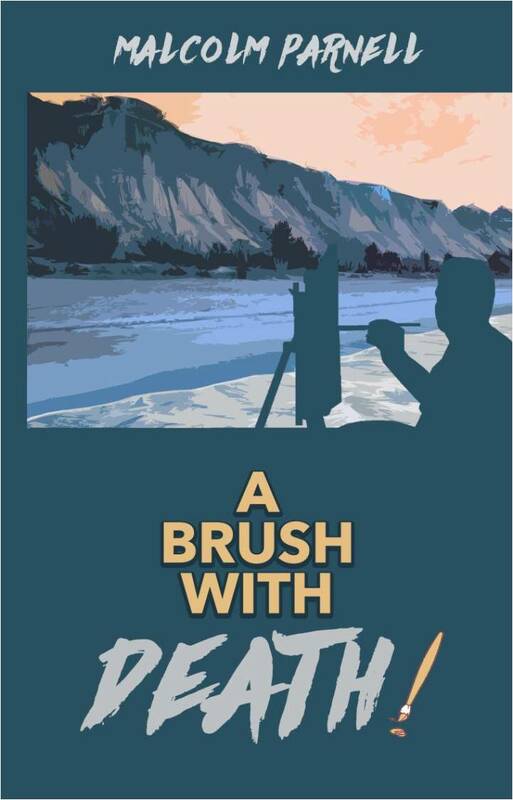 Well, I’ve been invited to share two books and the first is ‘A Brush with Death’ by Malcolm Parnell. Harry is a nobody. A nice guy with an interest in the ladies even if sometimes the ladies don’t have any interest in him. It’s certainly not a jealous husband after him, but someone is definitely trying to cause Harry some harm. On a week long painting holiday with a group of fellow artists the question is will Harry find out who is trying to cause him harm before they get to him for good? Who is trying to kill artist Harry Chase and why? Harry Chase, a semi-professional artist and full-time nobody, has recently been dumped by his girlfriend. Bewildered by the end of his relationship he withdraws into his paintings. An attempt is then made on his life. Dismissing it as a freak accident he organises a weeks painting holiday with a group of amateur painters. During the holiday several members of the group also have close encounters with death and further attempts are made on Harry. He has no idea why anyone should wish him harm but as the holiday progresses he begins to take a closer look at his fellow artists and wonders if they are all that they seem. Maybe one of them is a killer? This first time novelist lists Agatha Christie together with Thomas Eddison and Albert Eistein among his ideal dinner guests and you can see a similar gentle approach to setting out a story of mystery. 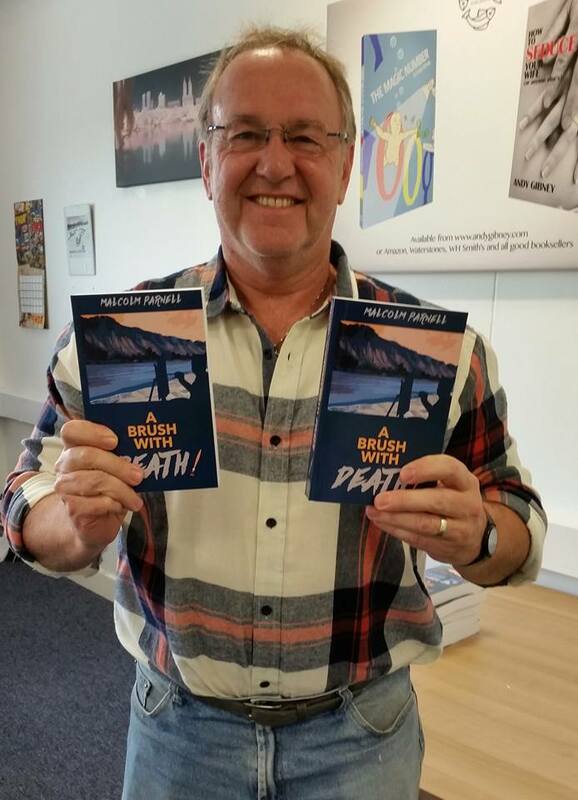 His reading journey started with Enid Blyton’s ‘The Island of Adventure’ and at the moment is at The Various Haunts of Men’ by Susan Hill. His favourite character and one he wished he’d created is Matthew Shardlake created by C J Sansom in the historical mystery novels. If he hadn’t gone down the mystery route, Malcolm quite fancies having a go at children’s fiction. When asked what the worst thing is about writing a book, the answer was one that will be familiar to those of you who blog – a blank page! Check out ‘A Brush with Death’ for yourself! 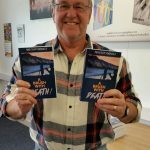 AUTHOR BIO: For many years Malcolm Parnell was a paramedic going out on calls and saving lives. 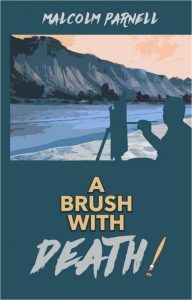 He is now a first aid trainer for Brown’s Health & Safety, but it is his passion for painting that led him to write his first novel ‘A Brush With Death!’ He is married to Marion with two grown up children. He now divides his time between the family, writing, painting, teaching painting and he is still in the glow of Leicester City winning the Premiership. I believe I could sink my teeth into this story, but as Gilly says, there’s never enough for reading. I’ll read almost anything so long as it catches my interest. 😀 Interesting review. I seem to only read in the bath Tess! There’s never as much reading time as I’d like either, this isn’t my genre I’m afraid. I have another one coming up that may whet your appetite Gilly! I’m Julia! Welcome to my place! Want to keep your mind active? Jigsaws can help! Kate on So, how clean IS your house? Kate on Want to keep your mind active? Jigsaws can help! old timer on Want to keep your mind active? Jigsaws can help! Copyright © 2018 Julia's Place is the property of Julia Skinner. All rights reserved.